An indoor cat is a spoiled cat, isn’t that a saying? Well, it should be. Having an indoor cat is a responsible choice (just think of the billions of furry critters you’re indirectly saving), and within that umbrella of choices lies the variety of toys you can buy. But don’t worry, Fluffy Kitty is here to help. We’ve divided this article into (what we think) are the healthiest choices of best cat toys for indoor cats. It’s important for indoor cats to get a sufficient amount of exercise and stimulation every day to live a long, healthy life. There is a misconception about cats that they do not require as much playtime or attention because they are independent, but let’s agree to disagree because that is totally false. Most of the time, however, interactive play will consist of using a toy that the cat cannot play with on his own; a wand that you drag around, a mouse you throw (when playing Go Fetch; some cats are innate fetchers—Yoda is one!) a laser pointer your cat chases around the room, etc. Right, so what’s there not to love? Not sure whether who’s going to fall in love more, you or your cat. Interactive toys are purrfect for bonding with your kitty. Indoor cats live a life of luxury, whether they know it or not. They sleep up to 18 hours a day, they bask in the sun all afternoon, they get fed everyday without having hunt, they get love and tons of caresses and cuddles, and the list goes on. 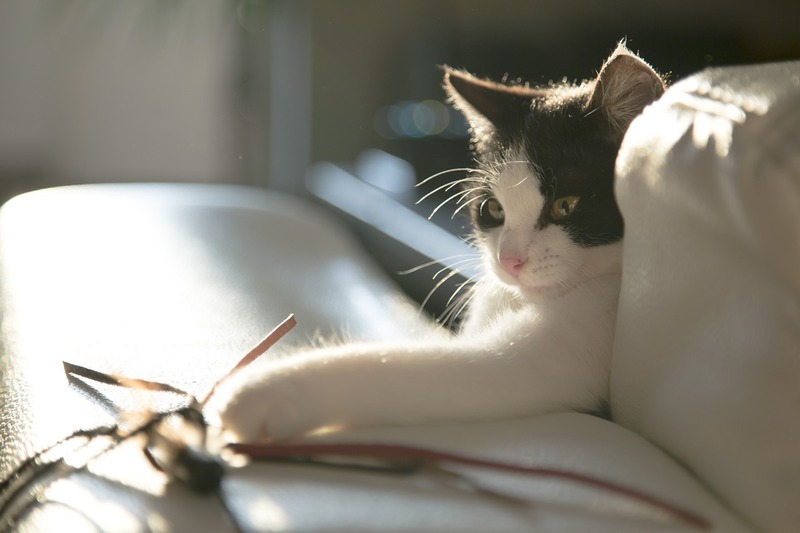 Knowing all that, I’d say your cat is already high-risk for laziness, which can lead them susceptible to obesity and more serious health issues. Let’s avoid that by giving our kitty loads of options to get active during the day. Giving your cat active toys will release their bottled up energy during the day (from sleeping so long, of course) and will also prevent hyperactive behavior during the night. 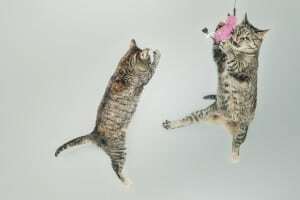 Toys, such as balls with bells inside, stuffed mice, cardboard boxes, paper, bags, etc., are active toys because they provoke your kitty’s inner playfulness. Give a cat a ping pong ball and they will let their own imaginations pretend it’s an alive critter they’re chasing and pushing around. That’s why stuffed mice are such a popular choice among indoor cat owners; cats love to catch their prey so a rolling mouse or ball toy allows them to satisfy their craving to chase and pounce! 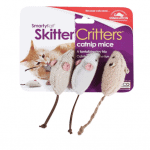 Try this trio of catnip mice and you will see just how much your cat loves it! What’s the price of your cat’s happiness? It can’t be less than that trio of mice, certainly! It’s a great buy for your buck. “Specialty toys”, you say? Yes, I named this category “Specialty” because there are just some cool knick-knacks out there that just need their own special name. 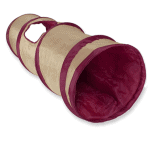 The Catit Treat Maze is a “food” toy designed to stimulate your cats senses, while getting rewarded with treats or food! 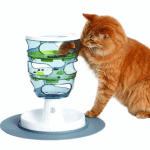 This is the purrfect toy / food dispenser for cats who tend to overeat. Sorry kitty, you’re going to have to work for your food now. Here’s another “specialty” item we think is a super toy that needs to be included. 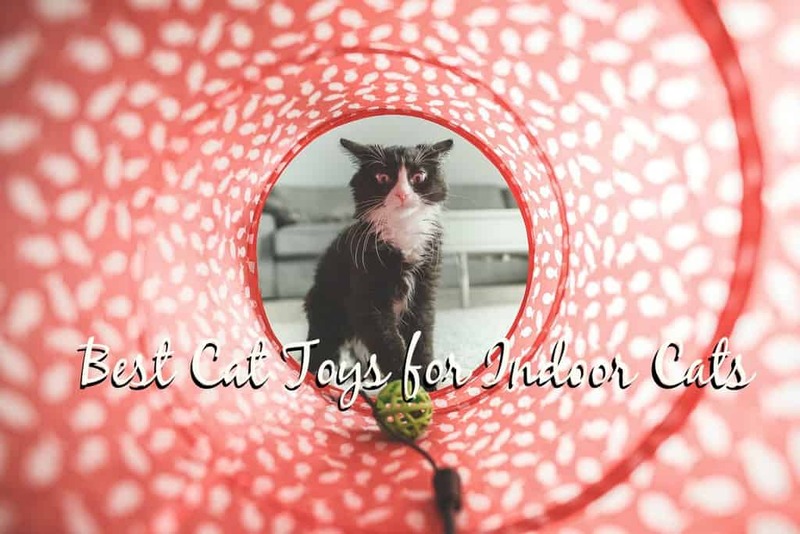 It can be used both as an interactive toy (you can play Tag Your It, Hide and Go Seek) and as a solo/active toy your cat will love to run through anytime during the day. A mysterious, crackling tunnel? Of course your cat will love it. Paws down. Do-It-Yourself cat toys are seriously the easiest DIY projects to exist on the internet. If Yoda could talk, he would tell you his mommy (me) made the best DIY cat toy ever and that we had so much fun for hours. 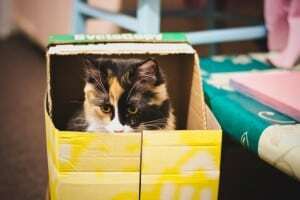 Here are some fun DIY ideas (the materials are probably already lying around your house) that you can magically turn into the best cat toys for indoor cats. Shower curtain rings have an extra ring on that shower pole, do ya? Share the love, clean it up and give it to your kitty cat. Recycled paper if you have some paper lying around, which I bet you do, then crumple it up and toss it to your kitty. It’s their new best buddy. Toilet rolls no, not the paper portion but the cardboard. Cut it into three pieces/circles about one inch wide and put the circles inside each other. You will have created a ball in minutes. Baby socks if you have seen these then you already know they are pretty cute. Stuff a soft baby’s sock with catnip, a bell, cotton, etc., and then decorate it with feathers, eyes (not plastic), or what have you, to turn it into a cute little mouse or bird. Ta-da! Paper bags bags bags bags. Your cat will have so much fun! Kittens and plastic could result in a hazardous outcome so only use this option for adult cats that don’t chew and swallow toys. Better yet, just use a paper bag like you would get from Whole Foods. Cardboard (it’s the new black) you can make cardboard into anything you want. Is kitty a princess? Give her a fun castle to reside in then. Last, but not least, make sure these items (not a comprehensive list) are out of kitty’s site as they are hazardous to your cat’s health and thus are best avoided at all costs. 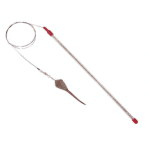 Small rubber bands, yarn, string, etc., (anything small and long that can coil up in the intestines can cause serious problems, if your cat swallows something like this seek medical help immediately). Overall, though there are many toys out on the markets that are dangerous for your cat, sometimes the safety and health of your cat depends on a little reflection. Ask yourself twice, “Is this safe for my cat if chewed, swallowed, etc. ?” If you hesitate to answer, don’t be afraid to reach out to friends, family and your local Vet (or us). Life is already hard enough without losing your best friend over a mass-produced toy with plastic eyes. Well, that’s it folks! Let us know in the comment section below if you enjoyed or benefited from this article. Have you found the best cat toys for indoor cats? We sure hope you did! Let’s keep our furriends safe and give them long, healthy, comfortable lives! Remember #adoptdon’tshop. Go to your local animal shelter today and pick up your new best friend. We will never forget the day we had a “coup de foudre” with Yoda at the animal shelter in Johnson City, Tennessee. All it took was one look and “Saul” forever became our Yoda. Thanks for reading Fluffy Kitty! 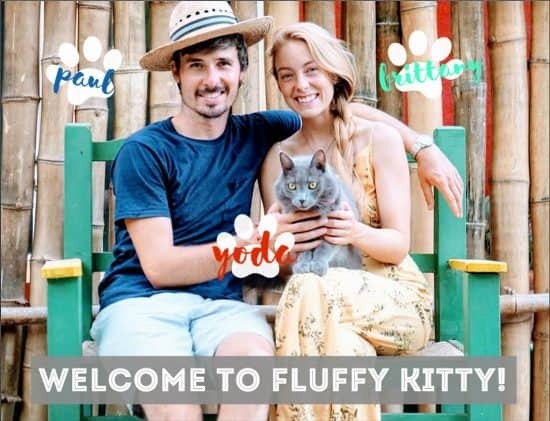 Stay updated by following us on Facebook, Twitter, Instagram, and Google+ for weekly updates, tips, and reviews for taking care of your fluffy furriend! See you next time on FK! Next Post Why Does My Cat’s Breath Smell Like Fish ? This page has some very good advice. I am looking for cat toys with Valeria leaves in them with or without cat nip. If anyone knows where to buy. I have a 2.5 year old male that has interstitial cystitis and I have heard and read that it can be caused by stress from just about anything. Valeria as I have read can bring a cat into a nice state of euphoria or stoned to be more correct. Thanks so much for your comment! We have never tried Valerian root for cats so we don’t have a recommendation. I looked on pet supplies websites and Amazon and I mostly found mixed catnip/Valerian products, but there is one brand that offers a packet of 3 and the Valerian root is separated in this one. We cannot verify the quality of the product as we’ve never tried. But have a look through the comments and see what other cat owners say. It might be just what you’re looking for. Best of luck and thanks for dropping by!